Home › Electronics › Casebuy Hp Chromebook 14-Inch Keyboard Protector Ultra Thin Keyboard Silicone..
Casebuy Hp Chromebook 14-Inch Keyboard Protector Ultra Thin Keyboard Silicone..
Color:Semi-Blue The CaseBuy keyboard cover is made of high-quality materials,with fashionable design to the best of your appetite. 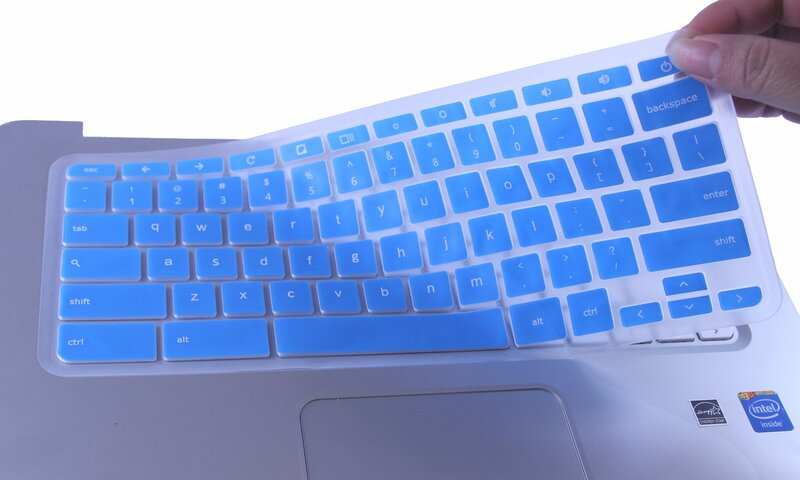 The cover helps toprotect your keyboard from dust, dirt and scratches. Extra slim skin makesyour typing easier and more convenient. The keyboard cover is made ofsilicone. If your keyboard cover is bent or wrinkled, you can pull it withyour both hands and then put it under a heavy book for an hour. The keyboardcover will be flat thereafter. Compatible with: ---HP Chromebook 14-InchLaptop series Caution: This keyboard cover ONLY fits US version, not EUversion. DO check your "Enter" key to make sure it is the same rectangle asother keys. If your "Enter" key looks like "7" shape (EU version), this covercan NOT fit. CaseBuy If for any reason you are unhappy with any product byCaseBuy, please do not hesitate to contact us. We take full ownership andresponsibility for the quality of our products and will do our very best tosolve your problem quickly and efficiently! CaseBuy -USPTO 86118611- is aregistered trademark protected by US Trademark Law. CaseBuy products are soldby authorized sellers only.